Accommodations at the Silver Bow Club on the Big Hole River. 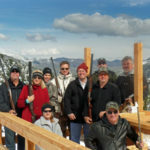 Visit the Silver Bow Club in Southwest Montana and enjoy 1800 acres of ranch land and 3.5 miles of the Big Hole River. Choose one of our private cabins on the river or stay in our luxurious, 15,000 square foot Lodge that is just perfect for families, couples or groups. 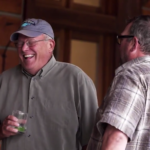 Our Lodge is ideal for fishing groups, family reunions, and corporate groups. Boasting 8 bedrooms, our lodge rooms and suites are spacious and luxurious. Main floor lodge rooms have mountain views and private baths. Second-floor luxury suites have King sized beds, meadow and mountain views and the bathroom en-suite. 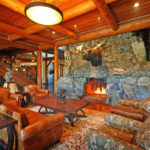 The lodge, a beautiful 15,000 square feet log structure, features a great room with a massive stone fireplace. While staying at the Lodge, our chef prepares fresh, delicious meals. Gather in Great room or around the campfire under the big Montana night sky. Soak in the outdoor hot tub or read a book in one of the many sitting areas or enjoy a game of pool in the lounge. Rugged beauty combined with Western elegance await you at the Silver Bow Club. 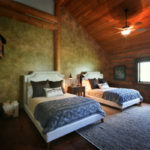 Our loft-style log cabins, Salmon Fly Cabin and Copper John Cabin, feature two bedrooms, fully equipped kitchens, spacious porches along with private access to our 3.5 miles of the Big Hole River. 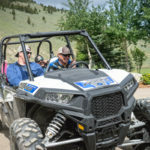 Take the golf cart path to the river and take in the sweeping views of the river valley framed by the craggy outcroppings of the Pioneer Mountains. 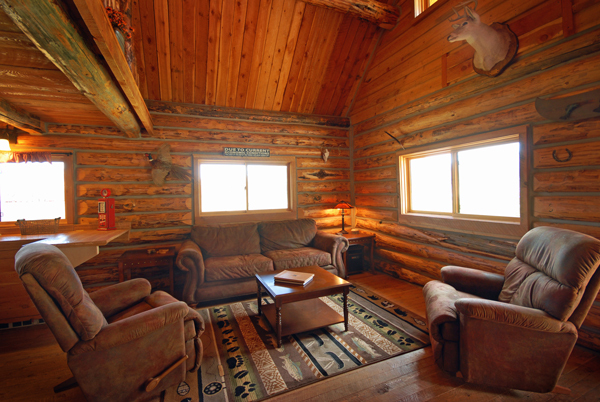 Built of hand-hewn logs, the cabins are comfortable and inviting. Return after a day’s adventure and kindle a campfire and listen to the night sounds of the Big Hole River Valley. 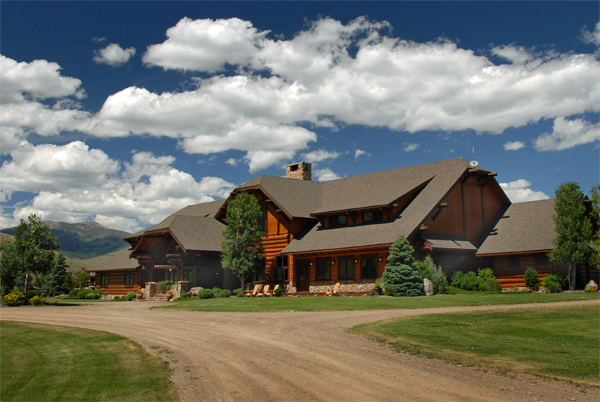 The Silver Bow Club is a luxury Montana resort on the Big Hole River in Southwest Montana. 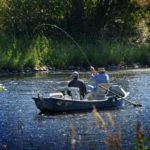 The perfect vacation destination for fly fishing the Big Hole River, the Silver Bow Club is a favorite destination for vacationing with friends and family and mixing business and adventure for corporate meetings. For guests staying in our Grand Lodge, choose from daily activities such as horseback riding, ATV adventures, aerial photo flights, trap shooting, and pheasant hunting in the fall. 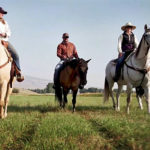 We provide luxury lodging on the Big Hole River in Divide, Montana. 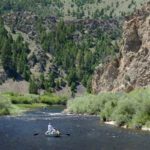 Book a fly-fishing trip of a lifetime on the Big Hole River in Southwest Montana today. Six girlfriends had a perfect “girl’s trip” at the Silver Bow Club. We all stayed together in the beautiful lodge, each had our own spacious room and bath. We felt right at home and took advantage of all the areas to “hang out” and relax. The Big Hole River surrounds the property and we enjoyed swimming and floating in the refreshingly cool water. There are hiking trails available with breathtaking sights. Adam and his staff are wonderful. They made every effort to make our experience pleasurable. Silver Bow Club was an ideal location for our girl’s trip, accommodating and gratifying to each of us. Looking forward to my next adventure at Silver Bow Club!